Ribbed V-neck. Printed graphics on front. 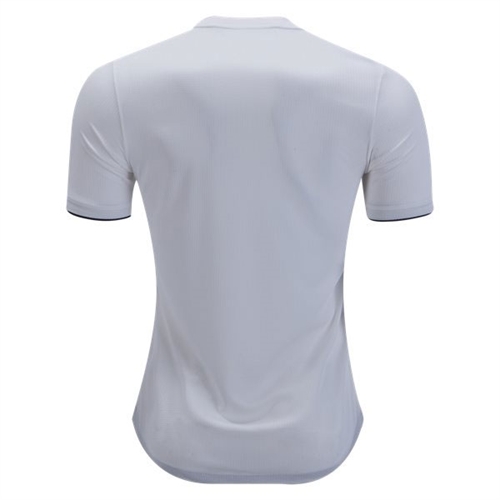 Real Madrid heat-transfer crest on left chest. Printed adidas brandmark on right chest; Contrast 3-Stripes on sleeves. Slim fit. 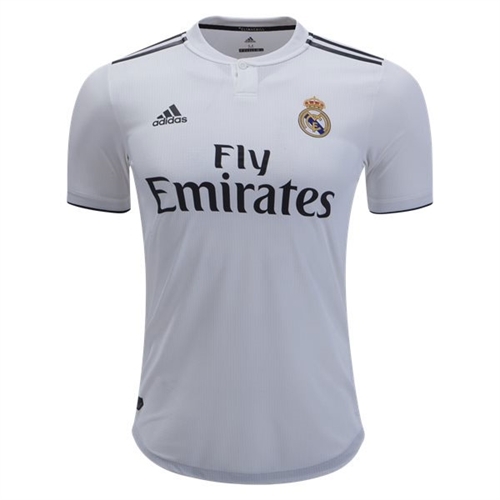 Our adidas Real Madrid Authentic Home Jersey 2018-2019 is just like the one los Blancos wear when they're leading the line on the field at Bernabéu. A version of their home jersey, it features climacill technology and the team badge on the chest.